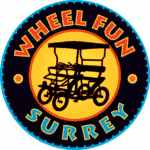 No one focuses on the recreational rental market like we do here at Wheel Fun Surrey. Our experience with the Surrey cycle is vast. We opened our first rental outlet in 1987. Along the way, we couldn’t find a Surrey that could withstand the rigors of the rental market and live up to our safety standards. So we decided to make our own! 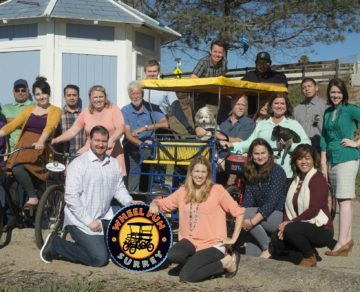 Today, our Surreys have the benefit of 30 years and over 100 Wheel Fun Rentals outlets across the country. We watch over 2.5 million customers pedal our Surreys annually. We analyze maintenance costs, parts usage, failure rates and much more. And we channel that experience into producing the best four wheel Surrey on the market. One that offers greater safety, less maintenance, and finishes that outlast all others. 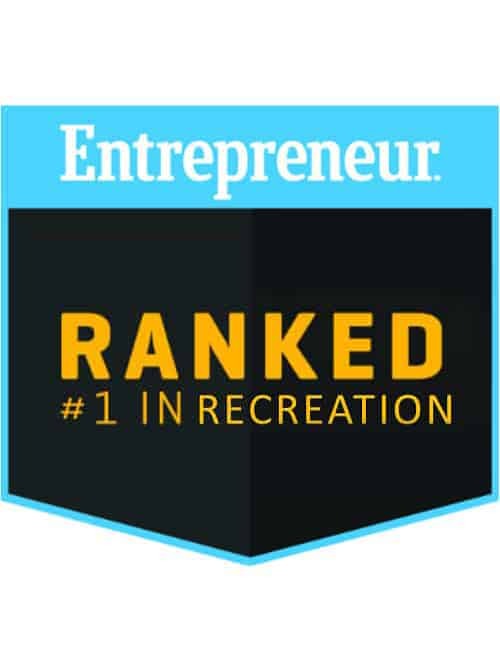 We are voted #1 in Recreation by Entrepreneur Magazine and we’d love to chat with you about your Surrey needs. So whether you are interested in a Surrey for personal use, or you are looking for an entire rental fleet, you have reached the right place. Provide innovative quality 4-wheel Surrey cycles that offer greater safety, less maintenance, and finishes that outlast all others. 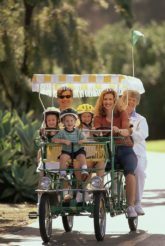 Provide customers/families with a quality Surrey to explore the outdoors while supporting active, healthy, and fun lifestyle for all ages, from toddlers to grandparents!